It’s the culmination of decades of travel to exotic lands. An eclectic collection of unique artifacts acquired by Drs. Palmer Beasley and Lu Yu Hwang as their study of Hepatitis B took them to China, Malaysia, Papua New Guinea, Mexico and a host of other countries. This exhibit features 50 of the most fascinating objects from this stunning collection. 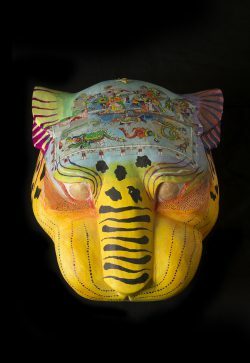 An intricately carved and painted mask. An actual Tao sea-going canoe from Taiwan. And a stunning Dragon Robe from the Imperial Court of China, replete with symbolism. Through descriptive text, photographs and videos you’ll learn how they were created, and why. But it’s up to you to imagine why each piece captured the attention of this husband-and-wife team of physicians. The McFerrin Fabergé Collection will be presented in a new state-of-the-art gallery in the Cullen Hall of Gems and Minerals. This new gallery is made possible by the generous underwriting of the Artie and Dorothy McFerrin Foundation. The first installation in the gallery is the new special exhibition Fabergé: Royal Gifts featuring the Trellis Egg Surprise. Visitors will experience the design artistry and craftsmanship of the Fabergé workmasters in an intimate setting. Fabergé: Royal Gifts featuring the Trellis Egg Surprise explores the international politics, diplomacy, economics and innovation in the 19th and early 20th centuries. Beginning with the magnificent crown jewels of Catherine the Great, the development of Peter Carl Fabergé’s techniques and inspiration are explored. There are over 70 eggs in the McFerrin Collection including two other Imperial-sized eggs made for special clients: the Nobel Ice Egg (c. 1913) created for Emanuel Nobel (1859-1932), and the Kelch Rocaille Egg created for Barbara Petrovna Kelch and presented by her husband Alexander Ferdinandovich Kelch in 1902. Peter Carl Fabergé is known for equipping the Imperial Easter Eggs with a “surprise” inside for the recipient of the gift to find when he or she opens the egg. Surprises were often figurines and embellished picture frame with photo of a loved one or, but perhaps the most cherished were the mechanical animal figurines. Peter Carl Fabergé is known for equipping the Imperial Easter Eggs with a “surprise” inside for the recipient of the gift to find when he or she opens the egg. A surprise might be a realistic, jeweled figure, embellished picture frame with photo of a loved one, or perhaps the most cherished—a mechanical animal figurine. The highlight of Fabergé: Royal Gifts featuring the Trellis Egg Surprise is the surprise for the Diamond Trellis Egg, an Easter gift from Tsar Alexander III to Tsarina Maria Feodorovna in 1892. 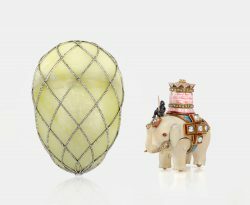 This Imperial Easter Egg will be exhibited with its original surprise, a small jeweled mechanical elephant. The reunion of the two pieces is made possible by a loan from the British Royal Collection on behalf of Her Majesty The Queen. It is the first time the pieces have been seen together in over 80 years. Fabergé: Royal Gifts featuring the Trellis Egg Surprise is organized by the Houston Museum of Natural Science. It is the premiere exhibition for the Artie and Dorothy McFerrin Gallery in the Cullen Hall of Gems and Minerals. The Trellis Egg surprise is generously lent by Her Majesty The Queen from the Royal Collection. An accidental find in York reveals the world’s best preserved Roman gladiatorial burial ground. Archaeologists unearthed a staggering 80 sets of remains. Most were decapitated. The director of the York Archaeological Trust will present exciting new DNA information about these combatants. Bones speak. Discover their stories. A festive occasion awaits following the lecture–including gladiatorial combat demonstrations by Legio XIII, photo booth complete with gladiator gear and tasty Roman bites to sample. 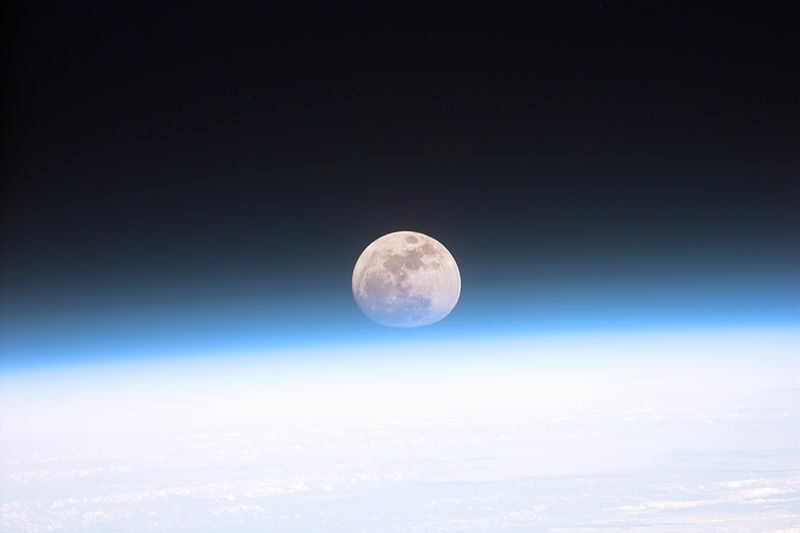 The moon obscured by earth’s atmosphere. This evening’s presentation will celebrate the launch of the first human in space, the flight of Yuri Gagarin on this day in 1961, and the first flight of the Space Shuttle on this day in 1981, with a look forward to the possibilities of human spaceflight aboard NASA’s new Orion crew vehicle as it travels around the farside of the Moon, which is the nearest, most accessible unexplored region in the Solar System.